I love Ann Taylor (A. T. ) clothes, which reflex modern takes on classic styles, and this fall I chose a few items for my Wishlist from their Icons collection! 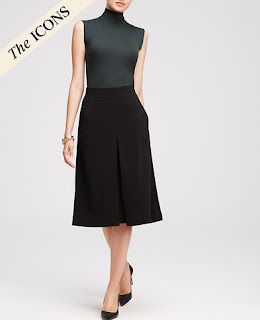 I love the A.T Midi Skirt! I love this Pleat-front Midi Skirt ($ 89 US) either in Black or Navy Blue because the pencil skirts don't flatter my curvy figure! I love the A.T Trench Coach! 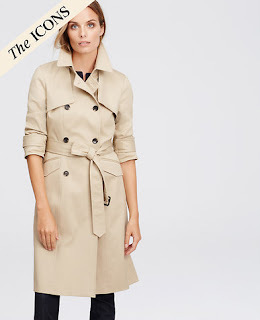 I love this classic Trench coat ($228 US) for business or other errands!! I love the A. T. the Luxe Blouse! 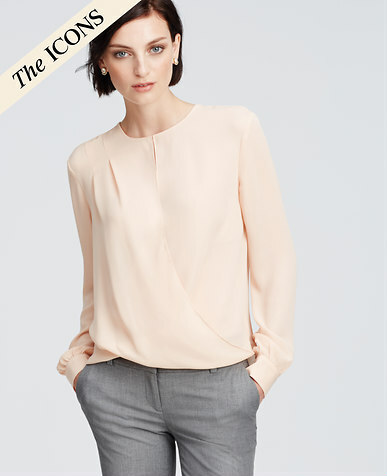 I love this Georgette Wrap Blouse in Peach Fizz ($79.50 US) for its feminine design! I love the Cape style which allow room to enjoy space but also warm on cool days! I love A. T. boots! 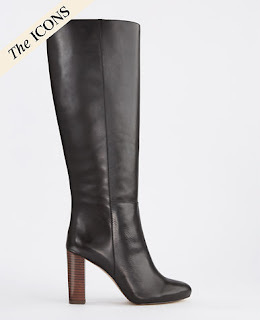 I love these Ellen Leather Riding Boots which are available in Black, Deep Brandywine, and Dark Camel ($298 US) which can be worn with skirt or pants for Fall fashion! What is your favorite items from Ann Taylor that you have or want for Fall fashion? That classic trench is gorgeous! I know...being an advent reader I want to play the mystery style when walking downtown! I love how that no matter your skirt length it can all be flatter and I love mid to long skirts for my body type!! Plus, I want a little more protection from cooler drafts during the fall and winter seasons!